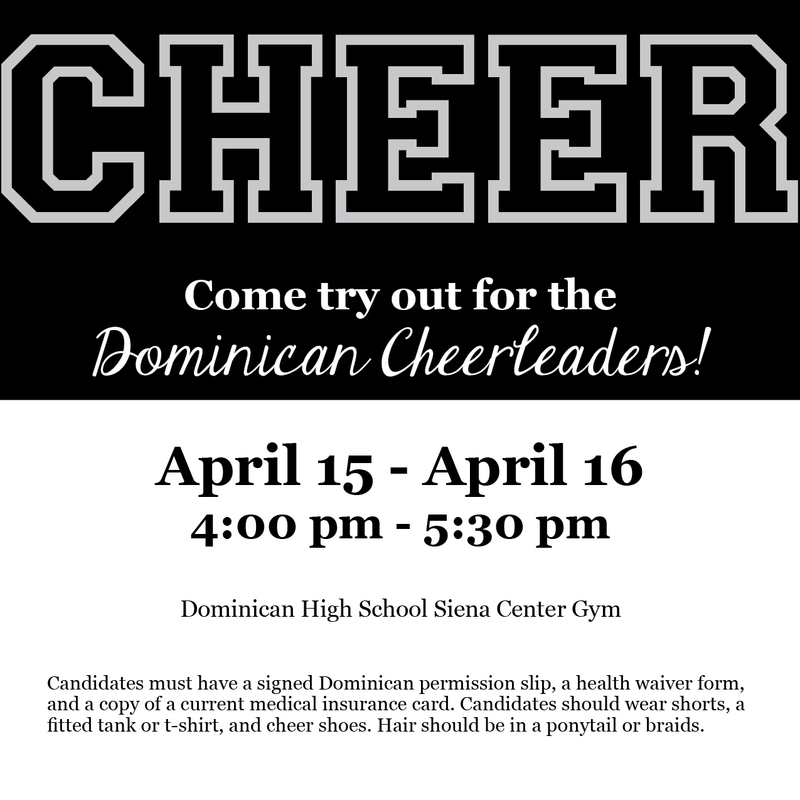 Cheer tryouts for the 2019-2020 school year will be April 15-16 at Dominican from 4:00 pm – 5:30 pm with uniform fittings for those who make the team on April 17 at 3:30 pm. 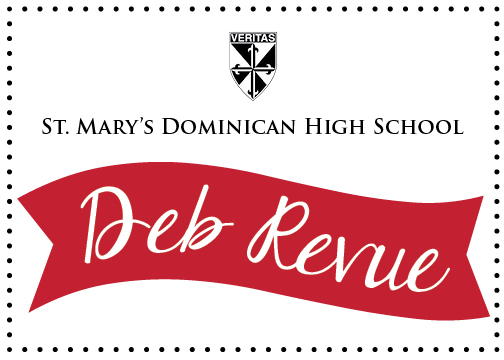 Candidates must have a signed Dominican permission slip, a health waiver form, and a copy of a current medical insurance card. Candidates should wear shorts, a fitted tank or t-shirt, and cheer shoes. Hair should be in a ponytail or braids. Download the cheerleader tryout packet here.